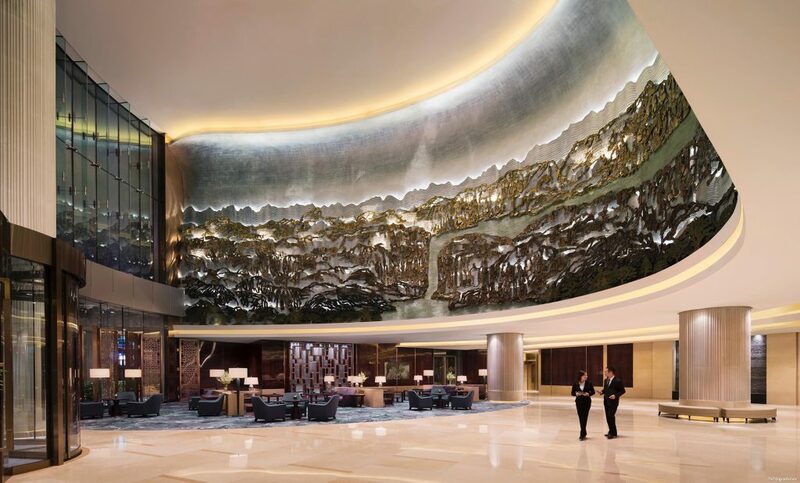 Located in the bustling Jiefangbei Commercial Area, JW Marriott Hotel Chongqing features an indoor swimming pool, a spa, a fitness center and 5 restaurants. The hall of JW Marriott Hotel Chongqing. The hotel is a 10-minute walk from Jiefangbei, a 5-minute walk from Linjiangmen Station (CRT Line 2) and a 5-minute drive from the famous Hongyadong scenic area. Chongqing Jiangbei International Airport (CKG) is 35 minutes’ drive away. The bedroom of JW Marriott Hotel Chongqing. Guests can enjoy unique culinary experiences at the on-site restaurants and bars, including a steakhouse, a Chinese restaurant, a Japanese restaurant, a lobby lounge, and an exchange bar. 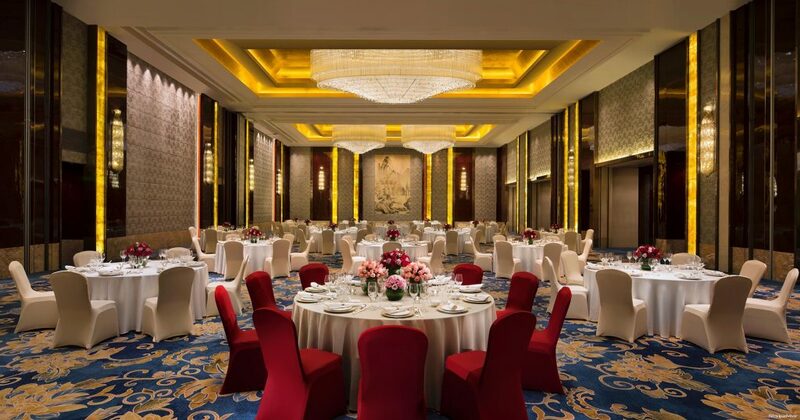 One banquet hall in JW Marriott Hotel Chongqing.